The University of Helsinki is one of the best multidisciplinary research universities in the world. The high quality research carried out by the university creates new knowledge for educating diverse specialists in various fields, and for utilisation in social decision-making and the business sector. The University of Helsinki is an international academic community of 40,000 students and staff members. It operates on four campuses in Helsinki and at 17 other locations. 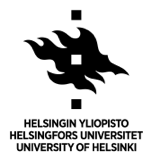 Founded in 1640, the University of Helsinki wants to strengthen its position among the world’s leading multidisciplinary research universities and to actively promote the well-being of humanity and a fair society. Role in the project:In RISCAPE, UH will act as the coordinating organization, it will lead the WP10 (Management). UH will also have a strong participation in WP1(Stakeholder activity and Peer Review) and WP2 (Methods). The principal task of ICOS ERIC shall be to establish a Integrated Carbon Observation System Research Infrastructure (ICOS RI) and to coordinate its operations. ICOS RI is a distributed research infrastructure with the mission to enable research to understand the greenhouse gas (GHG) budgets and perturbations. The ICOS RI provides the long-term observations required to understand the present state and predict future behaviour of the global carbon cycle and GHG emissions. Technological developments and implementations, related to GHGs, will be promoted by the linking of research, education and innovation. PIN scrl – Servizi Didattici e Scientifici per l’Università di Firenze (PIN) is a research agency, a consortium created by the University of Florence with local administrations and entrepreneurial and category associations to support research and University courses in Prato. Research activity is organized in laboratories, the one in charge of Cultural Heritage applications being VAST-LAB. Role in the project: In RISCAPE, PIN will lead the landscaping exercise concerning Cultural Heritage, Digital Humanities and Language Studies. It will lead and perform WP9 (Landscape analysis on the international Cultural Heritage, Digital Humanities and Language RIs and initiatives) as well as provide the sector perspective in other WPs. The European Social Survey (ESS) was awarded ERIC status in late 2013. Established in 2001, the European Social Survey is an academically led survey of social attitudes and beliefs. The survey is undertaken every two years and has completed 6 rounds of data collection. Round 7 will commence in autumn 2014. The ESS has taken place at least once in 36 countries across Europe. The award of ERIC status confirmed the recognition of the ESS as a critical pan-European research infrastructure in the social sciences. Role in the project: ESS ERIC will act as a partner, leading WP2 (Methods) and WP8 (international Survey and data archive research infrastructures). It will contribute to the Management of the project. Since 1976 CESSDA has existed as an umbrella organisation for social science data archives across Europe. CESSDA members have worked together to improve access to a wide range of data for researchers and students. Collectively they serve over 30,000 researchers, provide access to more than 50,000 data collections per year, and enhance the exchange of data and technologies among data organisations. The European Clinical Research Infrastructure Network (ECRIN-ERIC, www.ecrin.org) is a sustainable, not-for-profit, distributed ESFRI-Roadmap infrastructure providing operational, coordinated services in the conduct of multinational clinical trials in Europe. ECRIN has currently 9 Members and Observer countries (France, Czech Republic, Germany, Hungary, Italy, Norway, Portugal Spain, Switzerland) and other countries are about to join. Role in the project: ECRIN acts on behalf of the whole group of ESFRI Biological and Medical Science (BMS) RIs, who signed a collaboration Memorandum of Understanding to establish a joint ESFRI-BMS-RI Strategy Board – and Jacques Demotes was elected as the current chair of this board. It will lead the WP4 on the international landscape in the biomedical sector. ASTRON is the Netherlands Institute for Radio Astronomy. Its mission is to make discoveries in radio astronomy happen, via the development of novel and innovative technologies, the operation of world class radio astronomy facilities, and the pursuit of fundamental astronomical research. ASTRON hosts JIVE (Joint Institute for VLBI ERIC), the NOVA Optical/IR Group, and DOME (the ASTRON & IBM Center for Exascale Technology). ASTRON designed, built and now operates the International LOFAR Telescope (ILT, a recognized Pathfinder for the SKA). ASTRON plays a major role in the various consortia contributing to the current SKA Design Phase. It leads both the SKA Low Frequency Aperture Array and the SKA Mid Frequency Aperture Array work packages. In addition, ASTRON plays a prominent role in the Science Data Processor (SDP) work package and also several others. The Institut Laue-Langevin (ILL) is an international research centre at the leading edge of neutron science and technology. 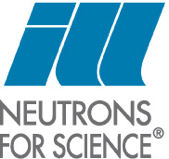 The Institute operates the most intense, reactor source in the world, supplying neutrons to a suite of 40 high-performance instruments that are constantly upgraded. The ILL is funded and managed by France, Germany and the United Kingdom, in partnership with 11 other European countries and India. Role in the project: ILL is responsible for WP5 Landscape analysis for Physics and engineering. Stichting EGI (abbreviated EGI.eu) is a not-for-profit foundation established under the Dutch law to coordinate EGI. EGI is an international collaboration that federates the digital capabilities, resources and expertise of national and international research communities in Europe and worldwide. The main goal is to empower researchers from all disciplines to collaborate and to carry out data- and compute-intensive science and innovation. Role in the project:rhe EGI.EU will provide expertise for the e-infrastructure landscape analysis and leads WP10. The Agency for the Promotion of European Research (APRE) is a non-profit research organisation, created upon the joint initiative of the Italian Ministry of Research and the European Commission in 1989, and grouping together more than 100 members, including both public and private research centres, industries, industrial associations, chambers of commerce, science parks and more than 50 universities, with the main objective to promote the participation in national and European RTD programmes. APRE received in 2001 the Quality Certification for its Project, Training and Promotion activities regarding research programmes (ISO EN 9001:2000). During its 25 years of experience APRE has participated in around 100 projects co-financed by the European Commission (DG Research, DG Education and DG Enterprise). The Finland Futures Research Centre (FFRC) is a multidisciplinary academic research, training, and development organisation, which is leading institute in the Nordic countries. The main goal of the FFRC is to create a responsible and sustainable future. FFRC´s research focus is on alternative futures and the challenges and possibilities included in them. Academic research places special emphasis on foresight, environmental and energy research, innovation management, socio-cultural research, food and consumption, bio-economy, security and education. In addition, the FFRC continually aims to develop the scientific foundations and methods of futures studies. Rigorous and multidisciplinary basic research creates an excellent foundation for both applied and tailor-made research. Role in the project: UT will lead the evaluation of the Energy RI landscape in WP6, where it will benefit from the experience it has from the holistic view of energy research.